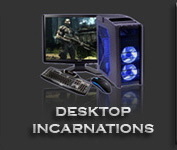 Price includes assembly, testing, OS installation, burn-in runs, overclocking, shipping and handling. 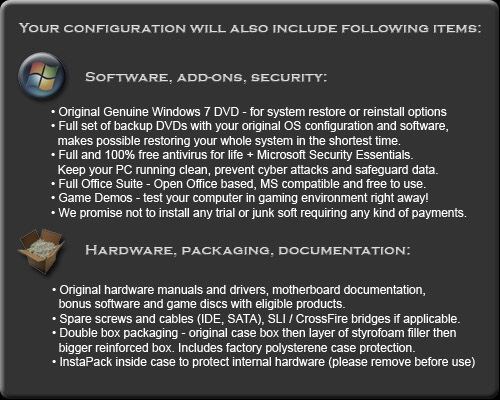 You will receive computer ready to run out of the box, no setup required. Price you see in your cart is your Grand Total, nothing will be added during checkout. Thank you for your interest in our computers! We will do our best and even more to ensure your satisfaction. When you will be ready to complete your purchase please select appropriate payment method and proceed to the secure checkout process. Our average build time is 5-7 days, we will keep you up to date on the status of your purchase. Currently all purchases qualify for free FedEx shipping, most packages will be delivered within 2-3 days after ship date (exclusions apply). If you have coupons you will be able to enter them during checkout process. 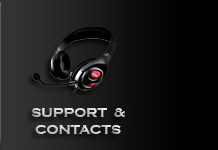 If you need help please use menu above to find our contact information. By submitting your order you agree to the complete Terms and Conditions. 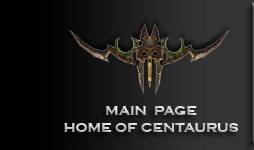 Dominate all with Centaurus PC gaming machines! 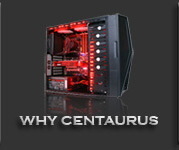 2000-2013 Centaurus PC is a registered trademark of Centaurus Computers ©. All rights reserved. 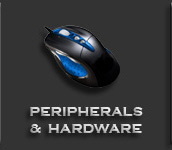 Custom computer prices, specifications are subject to change without notice. Centaurus Computers is not liable for any typo, photograph or any other errors and reserves the right to cancel any order at any time.